ANKARA, March 26. /TASS/. 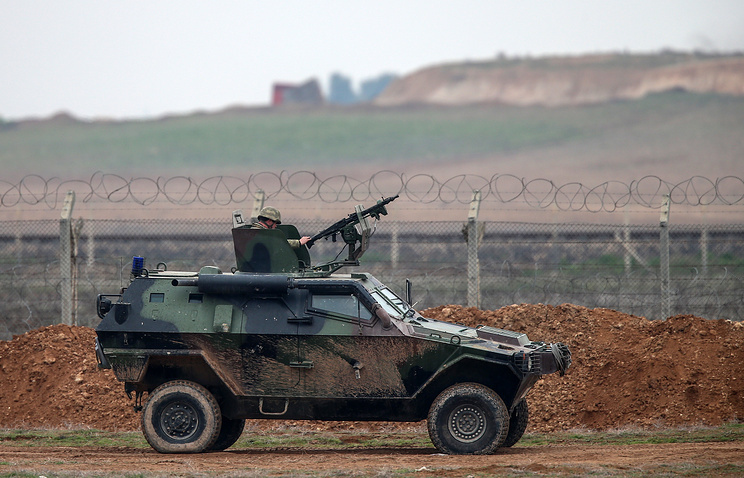 The Turkish and Russian Armed Forces for the first time have conducted independent coordinated patrols in northern Syria’s Tell Rifaat, the Defense Ministry said on Tuesday. "In the Tell Rifaat region the Armed Forces of Turkey and Russia held the first independent coordinated patrols," the ministry said in a statement. Moscow and Ankara expect that this effort "will ensure ceasefire implementation and also prevent attacks on [military] units." The Russian Defense Ministry has neither confirmed nor denied the report. In early February, Russia’s military police extended the zone of its presence in the Aleppo Governorate, reaching the settlement of Tell Rifaat to the northeast of Manbij, Lt. Gen. Vladimir Ivanovsky, the head of the Russian Defense Ministry military police department, reported.